Last week, we relaunched the NLSC with a new design. The timing was not a coincidence, as August 26th also marked my tenth anniversary as webmaster of the site. Having now run the site for ten of the fifteen years it has existed, I’ve been wanting to post some reflections on the milestone and our future plans but between the NBA 2K12 and NBA Jam: On Fire Edition news, the relaunch and some technical issues following a server move, that idea has been placed on the backburner. Before we get too much further away from the anniversary however, I’d just like to offer a few words of thanks and give everyone a preview of what’s to come here at the NLSC. 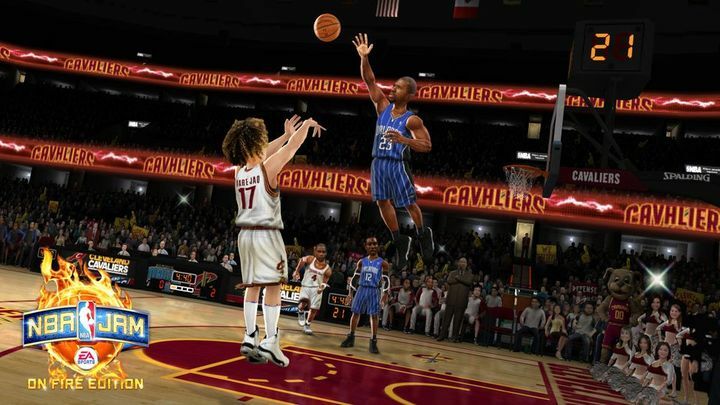 Last week, Xbox360Achievements.org revealed a list of the Xbox Live Achievements for NBA 2K12 (also revealing a couple of the new features in the process) and this week they have revealed the Achievements for NBA Jam: On Fire Edition. There are twelve achievements for a total of 200 points, none of which seem to spoil any as yet unannounced features in the game. We’ve also added the list of Achievements here in our Wiki. EA’s Peter Moore, who until recently was the president of the EA Sports label, has commented on the future of the company’s NBA sim series. Speaking to IndustryGamers, Moore reiterated that EA Sports is committed to returning to the sim market next year with a quality product, but also admitted that it could “take a while” before the series can compete with NBA 2K again. “It’ll take a while to get back, yeah. It’ll take us a few years maybe, but if that’s what it takes, that’s what it’ll be. We’re in our 20th year as a label… We’re not a short term player. It’s not going to happen overnight, but we’ll sit here 3, 4 years from now and hopefully we’ll be talking about what a great battle NBA 14 or 15 is versus their 14 or 15,” he concluded. You can discuss Peter Moore’s comments here in the NLSC Forum. Remember that the new Dev Team are also keeping tabs on our Wishlist materials and welcoming our feedback and suggestions, so don’t forget to sign our PC Petition, post ideas in our Wishlist and provide additional feedback via our Wishlist Survey. The third NBA 2K12 Developer Insight has been posted over on the official Facebook page, along with some new screenshots. 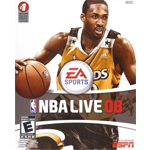 NBA 2K12’s Art Director Lynell Jinks checks in this time to talk about recreating the appearances of over 150 retired players for NBA’s Greatest, updating the likenesses of close to 400 active players and interaction with the front row. He also touches on the visual effects in the presentation for NBA’s Greatest games set in the 60s and 70s, with further details to come in future Insights. Be sure to give it a read and join in the discussion here in the Forum. EA Sports have posted a new Euroleague Sizzle trailer for NBA Jam: On Fire Edition over on the official Facebook page. As the name implies, the trailer confirms that the game will include a selection of Euroleague teams, specifically the final four from Euroleague 2011: Panathinaikos BC, Montepaschi Siena, Maccabi Tel Aviv and Real Madrid. With this revelation, it will be interesting to see if any Euroleague teams are featured in the future sim titles from EA Sports, in addition to FIBA teams. In the meantime, check out the Euroleague Sizzle trailer and add your thoughts in the comments or this thread in the Virtual Hardwood section of the NLSC Forum. 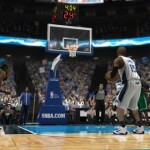 Operation Sports’ Steve Bartlett has posted part one of an in-depth preview of NBA 2K12. It offers some hands-on impressions of the new post-up controls, the smoother animations and other gameplay improvements as well as some thoughts on NBA’s Greatest and presentation, both in-game and the frontend. You can discuss the preview here in the NBA 2K12 section of the NLSC Forum, thanks to The Greatest10 for the heads up. 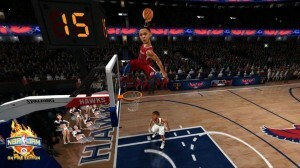 We can expect the NBA 2K12 previews to continue this week with new footage, interviews and a Developer Insight. 2K Sports posted an update on Facebook announcing that raw gameplay footage will be shown this Thursday on Spike TV at 10:05 PST (1:05 EST), while an in-depth preview and interviews can be seen Thursday night on Gametrailers TV. 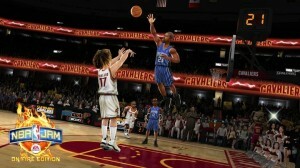 Ronnie 2K also mentioned the upcoming Developer Insight on art in NBA 2K12 in this Tweet. We’ll of course keep everyone posted right here on the NLSC and in the Forum. 2K Sports posted two new NBA’s Greatest screenshots over the weekend, featuring the starting lineups of four more teams included in NBA’s Greatest: the 1965 Boston Celtics and Los Angeles Lakers and the 1993 Chicago Bulls and Charlotte Hornets. Leave a comment or add your thoughts in this thread in the NLSC Forum. Tech issues resolved, back to business! I’m pleased to report that we’re back up and running properly following a move to a new server! The main site, Forum, Downloads database and Wiki are all back up and functional and you should also notice an improvement in the speed of the site. You’ll also find that you can now upload larger files to our new Downloads section, up to 100 MB per file. This should be more than enough to cover most submissions but if you are releasing a project that is larger than 100 MB, feel free to contact us and we’ll see what we can arrange for you. Thanks to everyone for their patience and understanding during the technical issues of the past day or so. We realise it’s annoying for everyone and believe me, it’s just as frustrating for us as well but we should be clear of those problems now. We hope you enjoy the content and features we’ll be bringing you in the near future, thanks again for your continued support of the NLSC and a special thanks also to our host Matt and the server techs for helping us out with the necessary maintenance and troubleshooting! 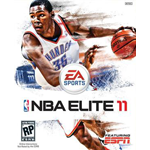 With all the NBA 2K12 and NBA Jam: On Fire Edition news as of late, last week I once again neglected to post the usual reminder about our Wishlist initiatives for EA Sports’ next NBA sim title. We are still collecting signatures for our PC Petition, an initiative we hope will demonstrate to EA Sports our enthusiasm for basketball gaming on the PC platform. We are also still compiling feedback for our Wishlist, so if you have bug reports, suggestions about features you want to see fixed, upgraded or added, things about NBA 2K that you like and would like to see EA Sports implement in their game or any constructive feedback you think would make the game better, be sure to post it ASAP. You can also provide additional feedback via our Wishlist Survey, the results of which we’ll also be submitting to the new Dev Team along with the main Wishlist. A big thanks as always to everyone who has signed the Petition and contributed to the Wishlist so far! 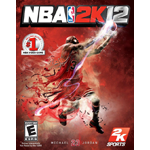 Xbox360Achievements.org have revealed the complete list of Achievements for NBA 2K12. Interestingly, one of the Achievements mentions NBA: Creating a Legend mode, which suggests that we’ll be able to take the fifteen featured legends into a My Player-type single player career mode similar to MJ: Creating a Legend in NBA 2K11. The list also reveals that the game will feature online associations and a couple of expansions to My Player including player contracts and “purchases” such as dunk packages. Check it out and have your say in this thread in the NLSC Forum. Thanks to The Greatest10 for the heads up. NBA Jam: On Fire Edition is on display at PAX and as such, EA Sports have posted a couple of new screenshots on the official Facebook page. Add your thoughts in this thread. The one and only MessenjahMatt has posted a new NBA 2K11 video highlighting another moment in Michael Jordan’s career, this time the famous shrug during Game 1 of the 1992 NBA Finals. You can discuss the video here in the NLSC Forum. As you can see, we’ve posted a new poll to go along with our new design. What do you think of the new look? Cast your vote now! Our previous poll asked “What are your favourite kind of mods for NBA Live/NBA 2K?” It seems historical mods remain the most popular garnering 34% of the vote, while FIBA based mods finished second with 22%. 17% of voters like NCAA mods best while Euroleague mods are preferred by a further 13%. The final 14% expressed a preference for all other types of mods. 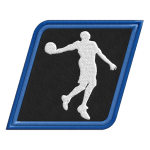 Be sure to check out the NLSC Forum for the latest updates from the talented individuals in the NBA Live and NBA 2K modding communities.